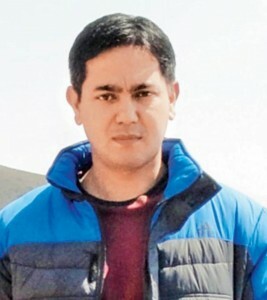 Ankush Saikia was born in Tezpur, Assam, in 1975. 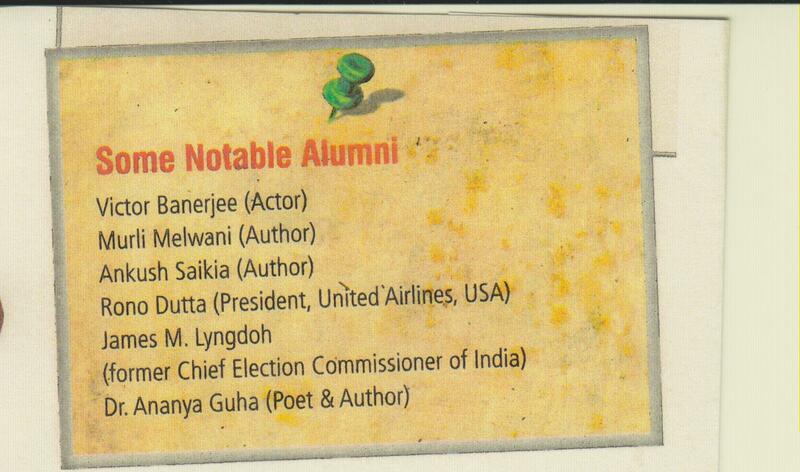 He passed out of St Edmunds School, Shillong in 1992, and passed out of St Edmunds College, Shillong in 1997. He has worked in journalism and publishing in New Delhi for over a decade [5 years as a senior editor at the publishing firm Dorling Kindersley (India)], and was shortlisted for the Outlook–Picador India non-fiction writing award (2005). 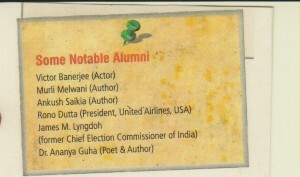 He is the author of three novels, is currently based in Shillong and Tezpur. 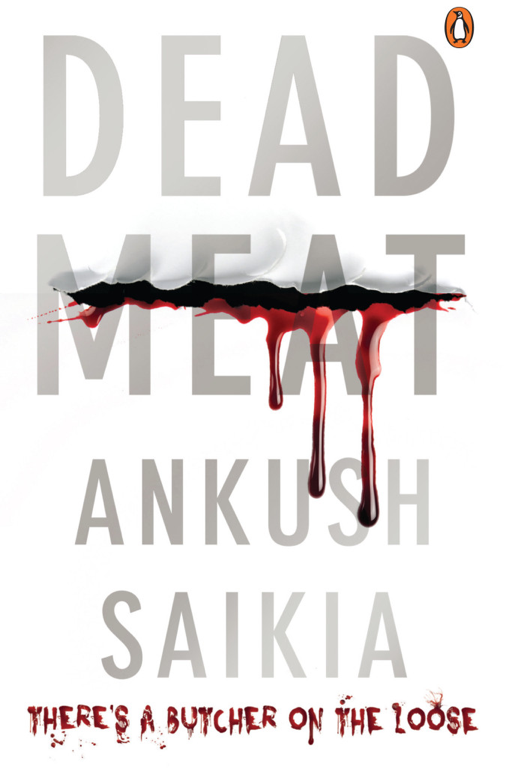 The first impact Ankush Saikia’s Dead Meat makes is through its cover — and the blurb. Even though the famous saying goes — “Don’t judge a book by its cover”, this cover tells me I am going to really enjoy it, despite my apprehension of and disinterest in thrillers. The ‘Tandoor’ reference brings back horrifying memories of newspaper reports graphically describing how a murder took place, 20 years ago, which sent shockwaves throughout the city. The author draws upon this case and uses a few details to make his story more ‘real’. On July 2, 1995, Sushil Sharma murdered his wife Naina Sahni, chopped her body in pieces and stuffed it into a tandoor at the Bagiya restaurant (which he owned) in Ashok Yatri Niwas, Delhi. Two police constables exposed this murder when they saw smoke rising from the open air restaurant, suspecting a fire. Sharma managed to flee but the manager was arrested. The prologue introduces us to the protagonist, the detective’s childhood in northeast India, which helps us understand his outlook towards life and hatred of people who discriminate on the basis of mixed parentage, religion, class etc. 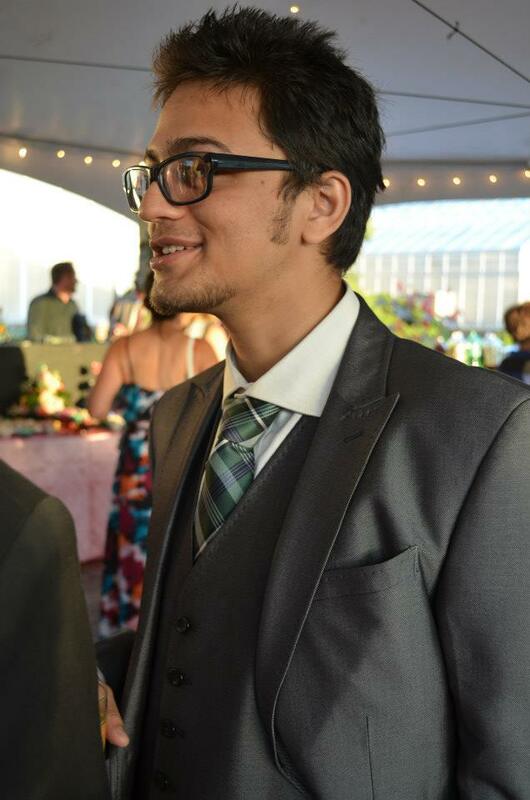 Born in Tezpur, Assam, in 1975, Saikia grew up in different places — Madison Wisconsin, Assam and Shillong, before Delhi became his home for more than 10 years. He has also been a journalist and a senior editor at Dorling Kindersely and Dead Meat is his third Novel. The similarities between the author and the protagonist, Arjun Arora are hard to miss — Arora is in a way mouthpiece of the author. Arora’s hatred for ‘Delhisms’ and typical Delhites borders on the cynical as does his general attitude to life in this urban chaos. He hates the ‘Sahib’ like behaviour of Delhites, their way of ordering people around and their disdain for people working under them. Quintessentially, Delhi is a city where the contrast between the life of penury and life of privilege is very apparent. Delhi as a character in the story is hard to miss — it is the most significant one in a novel where in every few pages, we meet a new character. Delhi probably gave the author/protagonist a culture shock when he made it his home, his relationship with the city is based on intense hatred. He calls it a ‘hellish city’, what with its extreme temperatures, crazy traffic, exodus of migrants, politics and corruption. Delhi for him is a ‘stained city’ and roots his basic violent nature in the many invasions and bloodbaths it has seen over the centuries and the trauma of partition. He also continuously reminds us of the big political-corporate-sports-mafia nexus of the city where “might was always right”. An arbitrary exercise of power is ingrained in every and life for the lower classes is nightmarish while the middle classes struggle greatly for bare survival. The whole story is woven around the many refugee colonies, posh farm houses, villages, flyovers, landmarks, sights, sounds and smells that constitute Delhi. It is a twisted kind of ‘Dilli Darshan’, both for the Delhite and the outsider. The author has dedicated this novel to Rahul, his brother — ‘another explorer of Delhi’. The navigation of roads through traffic has been described so perfectly that we get a feeling of being a passenger in Arjun’s car — the readers will feel as if they are journeying with the detective. The protagonist sketches out the entire map of Delhi for us in his search for the murderer. This case takes Arora all over Delhi looking for answers — from the brothels in GB road to the posh bungalows of South Delhi, from people living below poverty line to the movers and shakers, the high and mighty of the capital city. Even though the case starts innocently enough, it soon becomes evident that our ‘hero’ is treading dangerous territory. As the plot unravels and the story moves forward, Arjun’s past life in the army is revealed bit by bit — his days at Delhi University, his marriage to Sonali, birth of his daughter, his father’s accident, his dark days in the Middle-East. His solitary meditations on life, over a glass of neat whiskey and some homemade comfort food, are necessary to balance the heady pace of the narrative. A few lines in the novel are so hard hitting that they stay with you — especially when he says — “Here in the chaos that was India, justice and fairness were not guaranteed”. Despite there being several characters, each and everyone is well etched out, especially the suspects. Prose is simple and goes perfectly with pace of the novel. The novel draws you in from the very first page and is an engaging read. The plot has its predictable and startling twists and turns and the usual trails of suspects. Momentum is built slowly and steadily, with things becoming more dangerous, with every new development and chapter. It is a page turner in every sense, — ‘unputdownable’ for want of a less clichéd word. The anticlimax at the end is what throws you off — the mastermind is somebody whom nobody could have expected this from. At the end of the novel, you realise what the author really means through his cynicism of Delhi and Delhites. The city is used as a motif to describe a maze or a labyrinth like situation with its array of structures, roads, monuments and flyovers that curve this way and that. It reminds one of a maze that traps you within its precincts, a trap very hard to get out of — it again points out to “survival of the fittest”. The author functions as a sociologist — anthropologist who has uncovered the real character of the city of Delhi, going beyond the glitzy façade of five star hotels and malls to the harsh reality that lies beneath. The ending of the novel is somber and grim, hinting at corruption at the highest level of the pyramid. With veiled references to Dawood Ibrahim and Co. as the mastermind of the many illegal businesses operating in India — from betting on cricket to drug distribution. This last bit reminded of a similar ending in Allan Folsom’s dark thriller — The Day after Tomorrow (which had veiled references to Hitler). Final verdict would be to definitely go read this book — even if you have to forgo tandoori dishes for a while! The Girl from Nongrim Hills, Ankush Saikia’s new book set in the rainy, mist-covered environs of Shillong, has the feel of a 40s black-and-white film noir, the kind of atmosphere made famous by movies like The Maltese Falcon (1941) and Double Indemnity (1944). In fact, so similar is the book to the hardboiled, crime fiction tenor of the post-Depression genre that it is not a leap to imagine that Saikia might have even imagined the scenes in black and white himself while writing it, perhaps envisioning a potential Khasi/English production of the plot in reel. The settings of a typical film noir find abundant mention in the book: the sleazy bars, the rain-splashed streets, the dark, grimy alleyways. This is not to take away from the rootedness of the setting, which Saikia renders with aching affection and impressive memory. The roads, neighborhoods (or localities as he calls them), the colonial architecture and breathtaking scenery of Shillong are faithfully and accurately described; anyone who knows the hill city will have no trouble painting the territory in their heads while following the protagonist, Bok, around. Bok, a guitarist in a practically invisible band, is plunged into the seedy underworld when his brother loses 50 lakhs that was meant for an arms consignment for a militant group, and is forced to recover the money within a week, aided and thwarted by a mysterious woman. It is a plot-heavy story and movement is crucial for the development of scenes but the reader is never bored. I have been in Shillong a number of times and reading the book from another country transported and situated me thoroughly. Typically in a thriller plot, there are three kinds of characters: the lawbreakers, the forces of law and the victims or bystanders. The book sees a fluid interaction between all three, although the reader is only privy to the mind of one lawbreaker, which Bok embraces with graceful reluctance in the style of a Byronic hero. As with any criminal protagonist, the reader’s sympathies are often put to test, especially during a scene where Bok is required to kill off a character without betraying much emotional turbulence in the aftermath. On a scale of immorality however, Bok does not rank as high as Christine, the girl from Nongrim Hills, mostly because his intentions and motivations are seen as pure, driven as he is out of a desire to save his brother from being killed. The mood and presence of the book is greatly enhanced by remaining true to the religion, lingo, popular culture, food habits and matriarchal tendencies of Shillong, which cannot find equivalents in the Hindu dominated, Bollywood crazy, patriarchal populace of mainstream Indian society. Primarily a Christian society, the slight alienation of the characters is evident, for instance in scenes where Bok observes his friend’s mother performing puja from a distance or is served puri sabji at his friend’s home, or the sense of awe he feels at the vastness of the country when the news plays visuals of caste killings in Uttar Pradesh, or descriptions of public Christian revivalist congregations that caters to the working class. Popular culture in Shillong, as far as music is concerned, is heavily influenced by classic rock and rock n’ roll. Whitesnake, Guns N Roses, Van Halen, Elvis are other rockstars are part of the common musical appetite irrespective of class or clan, and this is represented well in the interstices of the action: aging hotel caretakers singing in bars, taxi drivers putting on the radio, swaying wedding guests. When it comes to illustrations of food and drink, Khasi food cannot be divorced of meat and we see ample examples of characters relishing indigenous fare: rice cooked in chicken blood, beef stew, fried pork. Booze is a staple of the hill tribes and this shows. The dialogues are interspersed with Khasi which creates an authentic interpersonal rhythm. While the undercurrents of matriarchy are observed every now and then (when Bok considers marrying Daisy and moving into her house for instance), they are too few and far between. Maybe the author had a mainly male audience in mind, but he could have employed this uniquely Khasi phenomenon into a powerfully subversive tool. Christine, an enigmatic character to say the least, stands out for study. Her origins are up for grabs but she can well represent any of the numerous tribal-ethnic groups in Northeast India who are driven towards arms when their identities are threatened by the brute force of the Indian state. She is a sovereign unit, not bound by the arbitrary law of the land, by filial ties or love interests. Her strength comes from being deceptive and smart enough to play to militant-politician-contractor nexus that holds power in Meghalaya and indeed, much of the Northeast. While some might feel tempted to categorize her into a uni-dimensional “femme fatale” mould, she is more than that. What can be surmised about her comes from her actions, which show general sociopathic signs but it is symptomatic of the larger context of the region. A cynical book in many ways, it does not choose to focus on the history of the region, perhaps wisely because of the fiery, contested nature of it. The arms trade with its myriad concealed routes, the unscrupulous politicians with their vote-buying tactics, extortionists with their desperate methods are all taken as self-evident facts as Bok navigates them while carrying out his mundane daily duties. It is a tale of how a man stuck in a rut and on the verge of intense self-loathing only begins to see the nature of things around him out of a combination of luck, lies, grit, adrenaline and blood. Perhaps it is the only way to feel truly alive in the Northeast. Review by Amandeep Sandhu; “A Slice of Thrill in Shillong” in The Indian Express January 5, 2014.
Review by Lalitha Subramanian,”Northeast Noir”, in Deccan Herald, December, 2013. Summary: The eight stories in this collection from Ankush Saikia range in locales from the Assam countryside to the Khasi hills, and from Delhi to London. Two Ending deals with a superstitious panwallah’s attempts to make sense of the increasing violence around him, while The Test looks at an episode in the life of a Shillong schoolboy named Robert. Jet City Woman recounts the adventures of a reluctant journalist over one night in India’s capital city, even as Spotting Veronchronicles a long and atmospheric journey from northeast India to Delhi across the vast width of India. The Dog at the Wedding returns to rural Assam for the tale of an orphan’s connection with a stray dog, and A House in Laban examines the longings of a young man who is an exile from the hill town he loves. Caught Somewhere in Time stays on in Shillong, with a now middle-aged and married Robert, and is a leisurely look at ordinary lives lived in forgotten places. The Island, which rounds off the collection, is on the other hand a meditation on the changing nature of our world, and how old connections can be found in new beginnings. 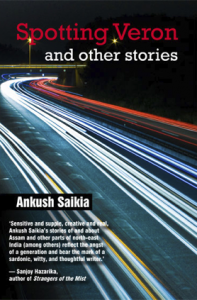 Comprising of previously published and unpublished work, Saikia’s stories offer a glimpse into a lesser known side of India. ‘Spotting Veron’, the title story in Ankush Saikia’s collection, Spotting Veron and other stories, really begins with its last sentence. To put it differently, the narrative curve of the story is like the symbol of a snake curling round to eat its tail. What the last sentence does is to light up the various dimensions of the story. The story can be summarized in one sentence: it records the 40 plus hour journey of the narrator from Shillong to Delhi by taxi and train. What cannot be summarized: the thoughts of the narrator about the passengers who board and disembark at various cities; and the narrator’s reaction to what happens during the long journey. The three flashbacks of his stay in Shillong, as well as references to his feelings of unease and unexplainable irritation, help to fill in the background and personality of the narrator. This is strikingly evident in a story like ‘Two Ending’. In just two and a half pages, Saikia recreates the atmosphere of fear and lawlessness that characterized the movement, in the late sixties and seventies, in the Khasi Hills, particularly in Shillong, demanding the ouster ofdkhars (non-tribals) and the creation of a separate state. By the time we come to ‘The House in Laban’, a separate state has been created, lawlessness has been put down, but the remnants of anti-dkhar feelings linger on. The story relates the nostalgia experienced by a Bengali young man, Siddhartha, who is sent from the Gurgaon call center of a US based company, to recruit “callers” from the Northeast since youngsters from here “were supposed to speak English well and have a ‘Western outlook’. ‘A House in Laban’ is a multi-layered story that examines an aspect of the eternal theme of home and belonging. This story would be my selection for an anthology of Indian Short Stories in English, 2000-2010, if one were proposed. Gabriella and Daniel turn their back on the rat race represented by the big cities and return to the relaxed life style of the hills. Robert the protagonist of ‘Caught Somewhere in Time’ never leaves Shillong. A promising musician, he chooses to marry, live with his wife’s family and work as a petty clerk in a government office. Where Siddhartha, at the end of his assignment is promoted, Robert has to succumb to bribery to make ends meet. The name of the school boy in ‘The Test’ is also Robert. Robert forgets that he has to prepare for a test. He cheats during the test, is sent to the principal’s office, where he is caned. The story carries cameos of an outdated but effective form of discipline and also the effect of an easy going way of life on men. ‘The Dog at the Wedding’, set in Meghalaya’s neighboring state, Assam, is a serio-comic study of adult behavior during the preparation leading up to a wedding. A stray dog is responsible for the pathos as well as the gentle satire. ‘Jet City Woman’ is a sort of video shoot of the uninhibited life style of the rich and the well-known in and around Delhi who know no limits to every conceivable form of indulgence. The cultures of the Northeast are very different from those of the rest of India. Mainland India has a distorted view of this corner of the country and its inhabitants. A corrective is long overdue. Fiction best conveys culture. We have our fiction writers in English, our Siddhartha Debs, Janhavi Baruas, Dhruba Hazarikas, Temsula Aos and Mamang Dais. But they alone are not enough. Review of Spotting Veron by Aditi Garg, “Glimpses of Life” in the Tribune, Aug 21, 2011. Summary: Amidst the haze of an aimless college life, a young student from Shillong meets the mercurial Naina at a party near Delhi University campus. His spontaneous act of chivalry against Naina’s violent ex-lover sparks off intimacy between him and this enigmatic girl-about-town. But a hot, fleeting affair with her leaves him sceptical about love and its elusive promises. Yet, Naina’s hidden past becomes a phantom that refuses to blur out of his memory, long after she’s gone. A chance encounter with her and her Afghan cocaine-dealer friend two years later brings Naina back into his life with all her mystery and caprice intact. Tracing the circuit of desire, drugs, violence, and greed that exists at the fringes of Delhi, Jet City Woman casts light on lives that have so far been peripheral to the grand narrative of this city—students from northeast India, Tibetan and Afghan refugees, Anglo-Indians. The dotcom boom and its eventual bust are juxtaposed with the pipe dream the BPO industry is peddling in India. Spanning five years, and alternating between northeast India and New Delhi, this is a story of love and loss, of lives adrift in a mega city, and of the lesser-known side of urban India. Diffused with subtle humour and sharp insights, it is a tale set in an ancient city where chimaeras are chased and lives are invented anew. Ankush Saikia’s debut, Jet City Woman, begins with the image of auto-rickshaws waiting in long queues for CNG at a pump outside a five star hotel, while inside artists and buyers move quietly past paintings at an art exhibition. This juxtaposition is the essence of Saikia’s Delhi. Suffused with this feeling of outside-inside comes this 190-page narrative of a boy from somewhere else growing into a troubled and uneasy man in a big city. Delhi, in the second half of the 1990s, contains many charms for a narrator who comes into town with a second division BA in English Literature from the North Eastern Hill University and a Scheduled Tribe certificate. Not least among these is Naina Rathore, tall and fair, blessed with long hair, a mysterious past and an incipient future as a news anchor. Naina gives herself to the narrator quickly, and withdraws her favours equally fast. She will not be his, but neither will she leave him in peace. For masculinity in formation, this book astutely implies, success must be expressed as success with a woman. And so Saikia’s narrator, while scoring with more than one girl back home in Shillong, still longs for that unattainable Jet City Woman. The city of Delhi suffers from being overly explicated in this book. To take just one instance, we are told why Majnu ka Tila is named so, although the story of that naming doesn’t seem to have any significance in the scheme of the novel. This studied view of Delhi is made more unpalatable by the ease with which the writing inhabits Shillong. Saikia picks an exciting time in the evolution of Delhi: the last years of the last century and the early years of this one. It is a time of immense transition, and like most transitions not every facet of it is accessible to every reader. Those who went through the phenomenon of auto-rickshaws lining up for CNG may know what it connotes, those who didn’t don’t. There is, perhaps, some meaning to be found in the cultural and economic churning of the time this novel visits but Saikia doesn’t quite succeed in finding it. Where Saikia does succeed is in delivering a particular variant of the diaspora novel that, we now realize, is needed by a nation that lives very much in its centre and far from its periphery. The novel of displacement is normally reserved for those who cross national boundaries, but this story of people who came from the North-East of India to the nation’s capital had not been told at this length till now. Their disaffection in this city is an echo of their region’s disaffection with the nation it is joined to. It would have been easy to sound shrill about this but, to its credit, Jet City Woman speaks quietly. For example, by identifying several minor characters by their tribe as well as their state, Saikia performs a subtle political manoeuvre. After all, the distinction between a Bomdila from Arunachal and a Khasi from Assam is not one the average Dilliwala would readily make. There are several radical possibilities inherent in a novel about an immigrant group coming from the periphery of the Indian imagination to the centre of the Indian nation. Saikia has staked a claim to these possibilities by being an early mover. But, in the final analysis, his prose does not rise to the challenge and his storytelling is clunky. He has an ear for dialogue but hasn’t developed it enough. Jet City Woman may eventually reach cult status amongst people from the North East in Delhi or those who know them. But Saikia has the sensibility to lure readers with more than merely the shock of recognition. Let’s hope that sensibility produces a worthy second novel soon.